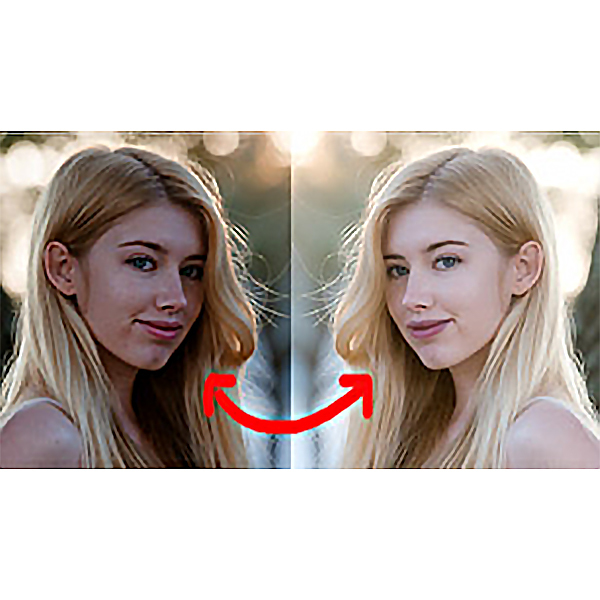 Not everyone has beautiful skin but you can make it better – at least in your photographs.Photoshop offers a variety of advanced tools to smooth out skin and hair, optimize body proportions and emphasize some beautiful details. It allows you to fix image imperfections such as scratches, blemishes, etc. By sampling the surrounding area or using a predefined pattern you can blend the imperfections into the rest of the image. If you’re using sampled mode, Alt-click an area near the imperfection to define the starting point. Click and drag over the imperfection. If aligned is selected, the healing brush will remember the starting point between mouse clicks. You use the Levels adjustment to correct the tonal range and color balance of an image by adjusting intensity levels of image shadows, midtones, and highlights. The Levels histogram is a visual guide for adjusting the image key tones. The outer two Input Levels sliders map the black point and white point to the settings of the Output sliders. By default, the Output sliders are at level 0, where the pixels are black, and level 255, where the pixels are white. With the Output sliders in the default positions, moving the black input slider maps the pixel value to level 0 and moving the white point slider maps the pixel value to level 255. The remaining levels are redistributed between levels 0 and 255. This redistribution increases the tonal range of the image, in effect increasing the overall contrast of the image. The middle Input slider adjusts the gamma in the image. It moves the midtone (level 128) and changes the intensity values of the middle range of gray tones without dramatically altering the highlights and shadows. Click the Levels icon in the Adjustments panel, or choose Levels from the panel menu. Choose Layer – New Adjustment Layer -Levels. Click OK in the New Layer dialog box. Note: Choosing Image – Adjustments – Levels makes direct adjustments to the image layer and discards image information. To adjust the shadows and highlights manually, drag the black and white Input Levels sliders to the edge of the first group of pixels at either end of the histogram. For example, if you move the black point slider to the right at level 5, Photoshop maps all the pixels at level 5 and lower to level 0. Similarly, if you move the white point slider to the left at level 243, Photoshop maps all pixels at level 243 and higher to level 255. The mapping affects the darkest and lightest pixels in each channel. The corresponding pixels in the other channels are adjusted proportionately to avoid altering the color balance. Note: You can also enter values directly into the first and third Input Levels text boxes. To adjust midtones, use the middle Input slider to make a gamma adjustment. Moving the middle Input slider to the left makes the overall image lighter. This slider adjustment maps a lower (darker) level up to the midpoint level between the Output sliders. If the Output sliders are in their default position (0 and 255), the midpoint is level 128. In this example, the shadows expand to fill the tonal range from 0 to 128, and the highlights are compressed. Moving the middle Input slider to the right has the opposite effect, making the image darker. The idea behind Curves is all about re–mapping values. A pixel starts out at a certain brightness, and you change it to be brighter or darker. The curves box opens as a straight line because you haven’t made any changes yet. That means that the brightness values before and after are the same. You will effect a change by changing the shape of the curve. The points from left (bottom) to right (top) affect: blacks, shadows, midtones, highlights, and whites. By altering the position in these regions will affect the corresponding tonal range of your image. Leaving the line in the center will leave the tones unchanged. You begin altering the brightness values by clicking once somewhere on the line. This will establish a “point”; this point can now be dragged to a different place within the grid, which causes that tonal value to change, either lighter or darker depending on whether you drag it up or down. The reason it’s a curve is so that the change blends smoothly throughout the image. An abrupt change in value can be very noticeable. The increasingly gradual change of the brightness values on either side of the change permit a very smooth and believable adjustment. It’s important to note, however, that you can’t increase contrast in one region without decreasing it in another. The curves tool redistributes contrast. Therefore think of the image having a contrast allocation or budget and you need to decide how to best spend it. Also, the curves tool will preserve the tonal hierarchy (unless you use uncommon negative slopes). That means that the brighter parts of the image will stay brighter even after your conversion – just maybe not by the same amount. The Gaussian blur filter can add a smoothing effect to an image, blurring out overly sharp edges and, if the blur is set to a high enough level, turning a photograph into a glowing, dreamy composition. It can also be used to mimic the shallow depth-of-field seen on portrait photographs taken with a wide aperture. The Gaussian blur filter can be applied to either a selection within the image or an entire layer. Click “Filter,” click “Blur” and click “Gaussian Blur…” from the sub-menu. Sharpening your picture increases the contrast along the edges where different colors meet. This tricks the eye into believing that the photo looks sharper, better, stronger. In the Filter menu, go to Sharpen – Unsharp Mask. A window will pop up with three different sliders. Amount: When you sharpen an image, Photoshop takes the edge between two colors and makes the light pixels lighter and the dark pixels darker. Amount determines how light the lighter pixels get, and how dark the darker pixels get. If you set the amount too high, your picture will look grainy and overly contrasty, and you’ll actually lose some fine detail. Radius: This determines the area that will be sharpened. A low radius means only the pixels right next to the edge will be sharpened. A high radius means a wider area will be sharpened. Setting the radius too high will give you weird outlines or halos around your edges. Threshold: Threshold determines how much contrast there needs to be between colors for them to be sharpened. A higher threshold means higher contrast areas will be sharpened, but low-contrast areas will not. Sharpening low-contrast areas (like a baby’s smooth skin) makes them look rough and speckly. Setting the threshold too low will give you a grainy look on low-contrast areas, and will make noise stand out. Not so good. Choose Layer – New Adjustment Layer – Brightness/Contrast. Click OK in the New Layer dialog box. You can also choose Image – Adjustments – Brightness/Contrast. But keep in mind that this method makes direct adjustments to the image layer and discards image information. To scale by dragging, drag a handle. Press Shift as you drag a corner handle to scale proportionately.